Chrichton's World: Review Rupture (2016): Much better than given credit for! Review Rupture (2016): Much better than given credit for! For some reason Rupture is not liked as much as it should. Probably because it requires a little patience and some events aren't explained to you. Normally I would agree if the film was mostly plot based and had nothing else to offer. However it does and that is why most negative criticism is very much unfounded. Although I do think I need to add that this is one of those films the least you know about it the greater the enjoyment. So do avoid reading about it or watching the trailer. If by accident you have watched it you still will be able to get the most out of it since it's a trailer that mainly misdirects than reveals. One of the strong elements that Rupture offers is tension and suspense. From the start you will be introduced to events that will make you wonder what's going on. Even beyond the main reveal you will be left with questions and is something for the viewer to chew on after the film is finished. If I had to guess this is probably what people have issues with. To an extent I understand this complaint since it's rather lazy or a little too convenient. On the other hand if a reasonable explanation had been given it still would not have changed the viewing experience a single bit. Director Steven Shainberg (Secretary) chose to emphasize the mystery and leaves things open for your own interpretation. And I for one comprehend this decision since it falls into the less is more category. In this case it can be rewarding to let your imagination free. 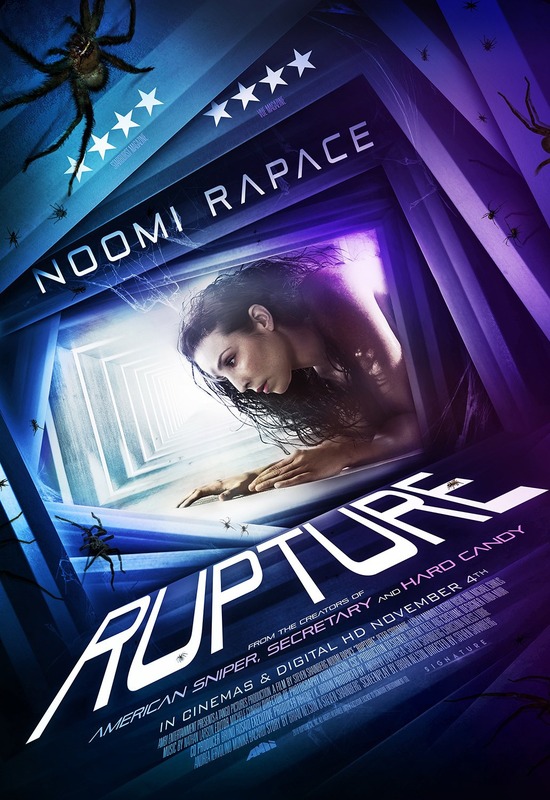 Main character Renee played by Noomi Rapace has our sympathy throughout the film. She is not some kind of super woman but more like you and me put in a dire situation. She does what she can to deal with whatever is going and get out of it. For me this was interesting to watch. Michael Chiklis (Shield, The Commish, Fantastic Four) also is in the film who barely talks in this one and it makes him totally creepy and villainous. You never know quite what he is about or capable of and will put you on edge every time he appears. Rupture does a good job of playing into fears and paranoia since it masterfully builds up tension and suspense until you get some idea of what is going on. Is it mind blowing spectacular? Not by a long shot. But it will provide an entertaining viewing experience if you allow it.